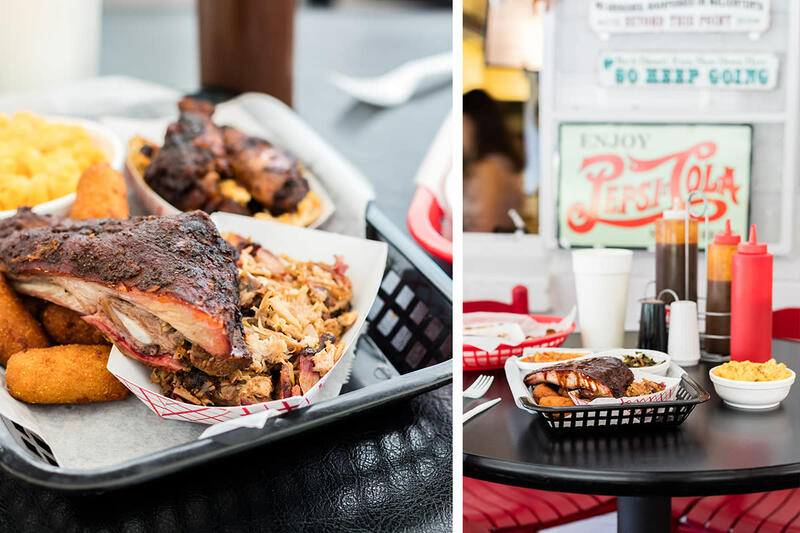 Smokey's BBQ Shack in Morrisville, N.C. 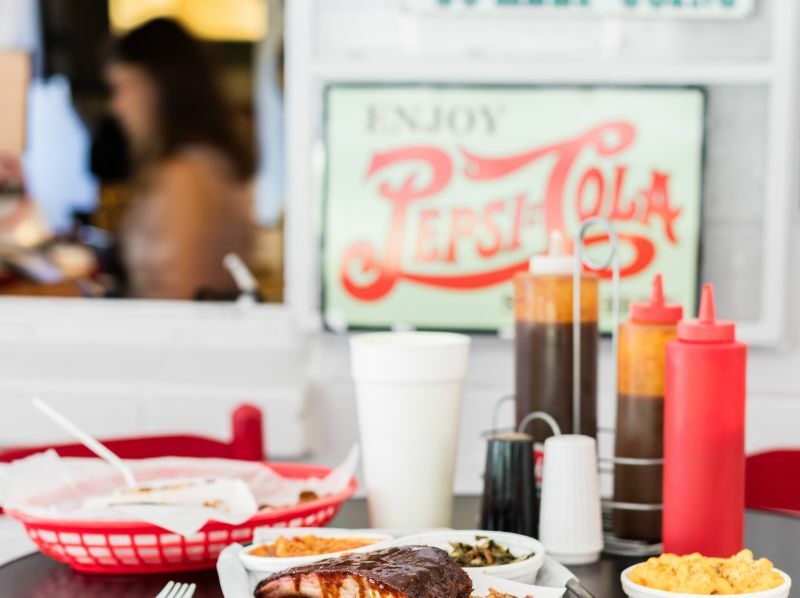 Serving some of the best East-meets-Lexington sauce in the area, Smokey’s BBQ Shack walks a fine line between North Carolina’s native barbecue styles. 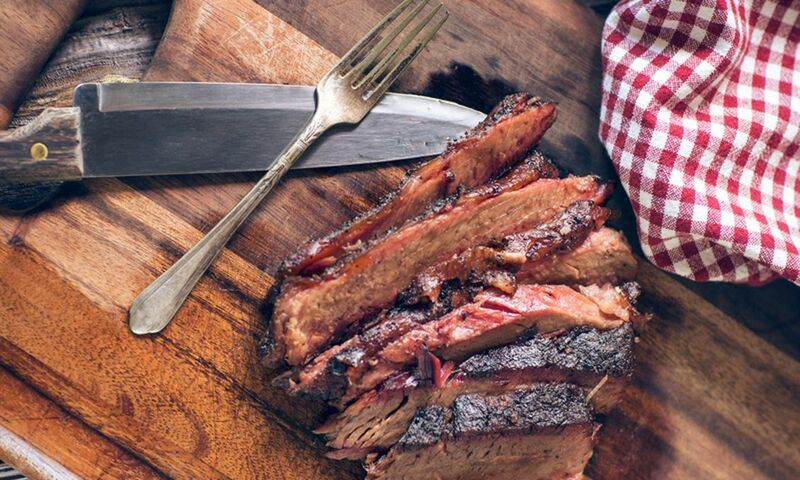 Heavy on the hickory smoke, this barbecue and the accompanying sauces show off a subtle hand at the pit as it strikes a balance that others don’t often achieve. 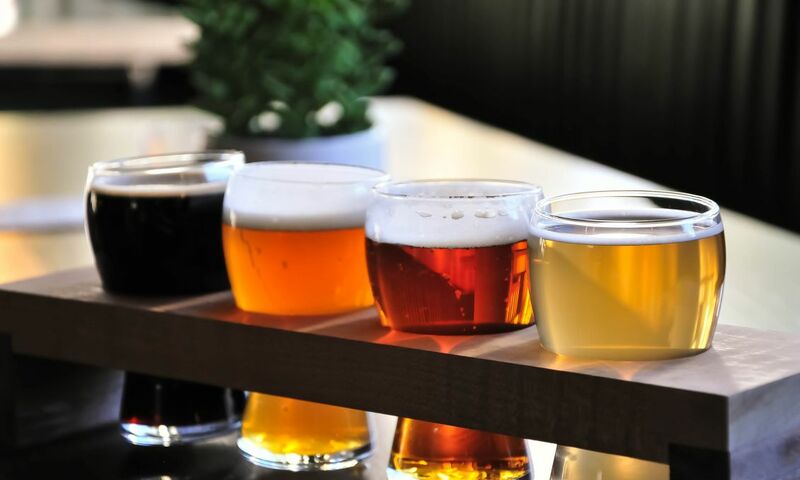 Be warned before you go eat, though—the platters here are filling and the regular size is enough for many folks. 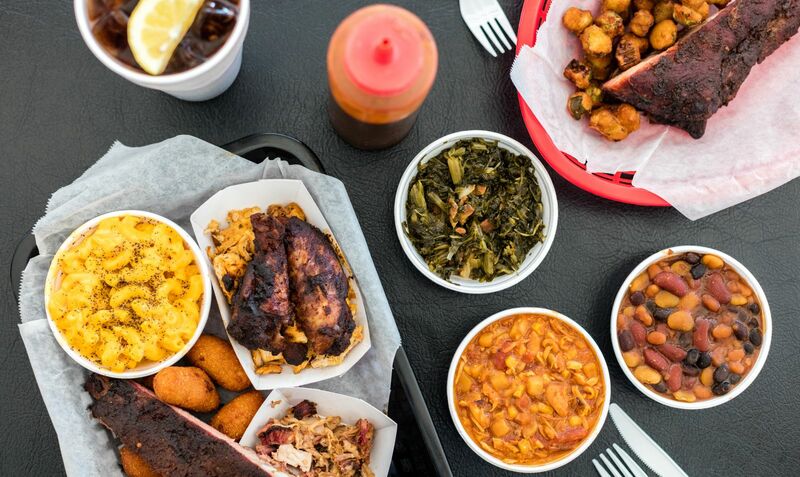 Regular or large, each platter comes with four hush puppies and a pair of sides—sweet tater tots (a must have), baked beans in a sauce of their own devising, potato salad and Brunswick stew—and will only set you back $9-$11 for a regular platter or $10-$13 for a large. Then there are sandwiches. 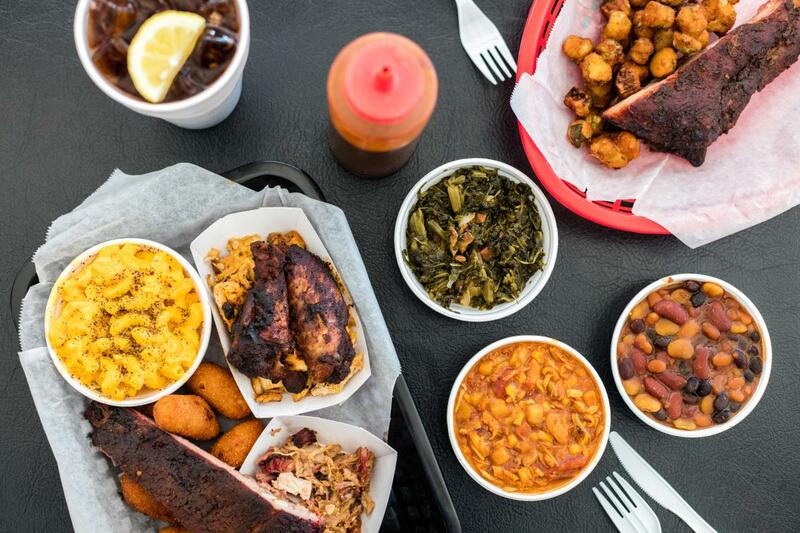 Now, some in N.C. might take issue with ordering a brisket sandwich in a barbecue restaurant, but you should go ahead and do it, then tell them you simply ordered something delicious (because it absolutely was). 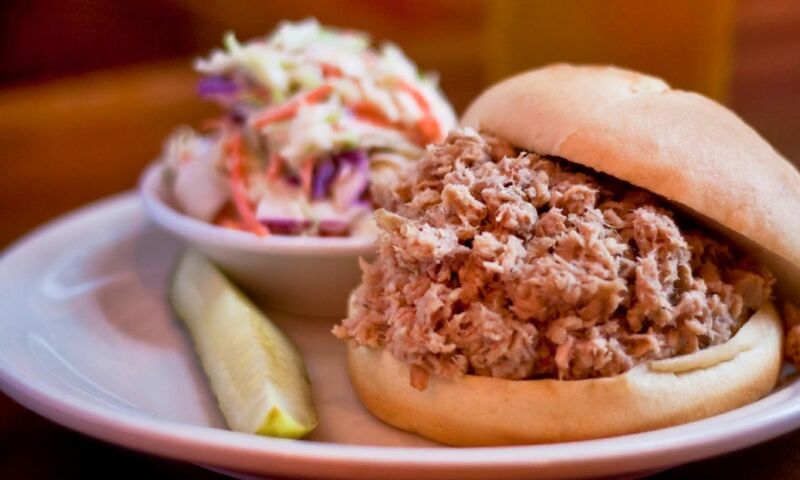 Go ahead and add slaw to the brisket sandwich, or the pork or chicken sandwich for that matter, as the crunch, cream and tang of the slaw counters the richness of the meat quite well. Lunchtime gets quite busy here, so expect to wait a minute if you come in during peak hours. 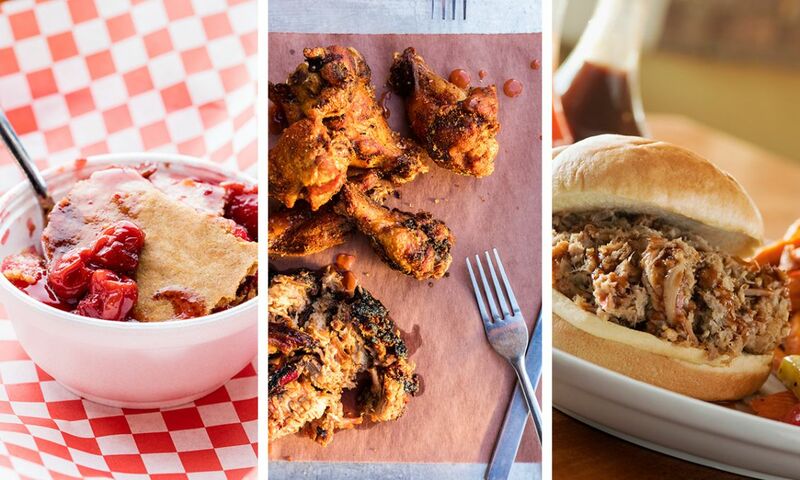 Of course, you can avoid the crowds altogether if you want to put in a catering order—not a bad idea if you’re feeding a whole crew or if you want to put it all into your own serving bowls and pretend you cooked it yourself.